1. Why should I choose a Splash Pool? After more than 30 years, Splash continues to serve as the industry standard by offering more shapes, sizes, and depths than any other above-ground pool seller in the market. Furthermore, we continue to service more and more commercial customers by providing aquatic products that meet the unique demands of our customers, regardless of the pool’s intended size or use. At Splash, we are committed to making summers more enjoyable for our residential customers and more profitable for commercial customers. 2. Where can I view Splash Pools in person? You can locate your local Splash Pools authorized dealer here! 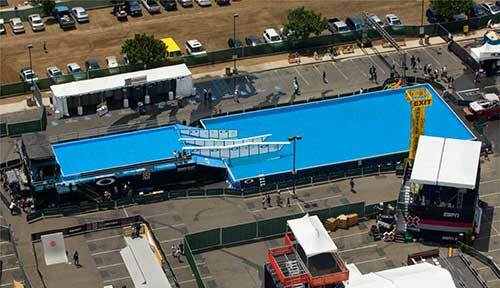 If you have attended events such as the X-Games, you’ve likely seen one of our pools in action! 3. 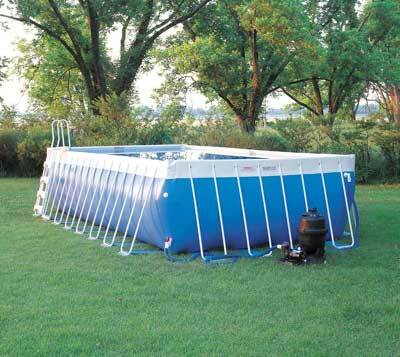 How strong are Splash Pools frames, pool liners, pumps? Our robust, yet easy to assemble zinc-coated steel frames go through a deliberate process of shaping and varnishing. Our revolutionary liners are the strongest on the market. Each liner is treated with a special coating that prevents dirt from adhering to exposed areas and protects against UV light damage, mildew, and other fungi. Our proprietary skimmer is designed with a second point of suction. In the event a toy or debris gets into the top of the skimmer, the secondary suction point will continue to draw water. This feature protects your pump from running dry and burning up. The skimmer will travel up to 8.5 inches with the pool’s water level to ensure it always skims the surface and to safeguard the pump from dry operation and burn up. This feature is critical during the hot summer months when water evaporates rapidly from your pool. Maintaining a safe, full water level in your pool is key to prolonging pump life. Watch this video to learn more about our structurally-supported above-ground pools. 4. What kind of warranty will I have on my new Splash Pool? SPLASH POOLS ARE PROUDLY MADE IN THE U.S.A.
We confidently back our top-class, dynamic, rigorously tested, tough, attractive pools with the industry’s best warranty. Should you need to file a warranty claim and send parts to our North Little Rock, Arkansas factory for improvement research and replacement, you can expect a timely turn around (2 weeks on average). Many other above ground pool producers use cheap, low-grade parts manufactured outside of the United States and don’t offer any support. In those cases, you’re stuck with what you get. Their designs leave much to be desired in terms of strength, safety, and aesthetics. Choose the industry leader in all categories from concepts to customer service – choose Splash Pools. 5. 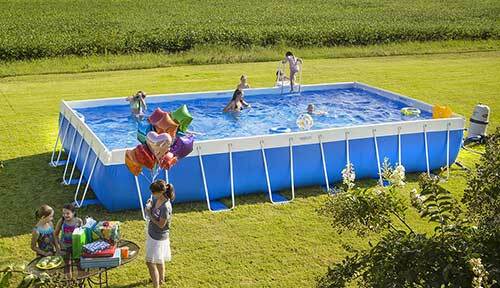 Are Splash Pools really portable? Our commercial pools are assembled, disassembled and moved around for events all over the world! Our residential pools are designed with the same structural integrity and when handled, cared for, and set up properly, they can be moved and enjoyed time and time again. 6. Can I set my Splash Pool up myself? Every Splash Pool comes with a DIY installation DVD. 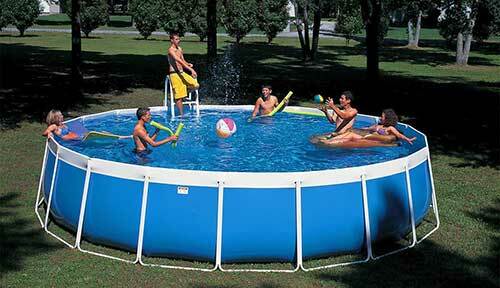 Our easy to use pools can be set up quickly by owners that take care and are detail oriented. It’s not unusual for new owners to begin swimming and enjoying their Splash Pool the very same day they set it up! 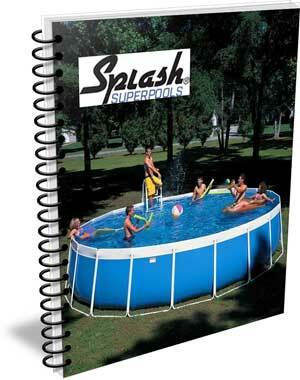 We do recommend that you consult your local Splash Pools authorized dealer before you set up your new Splash Pool. 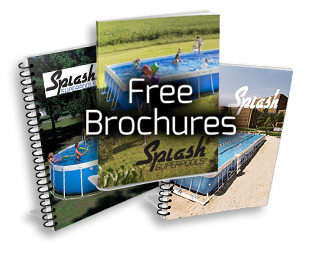 Find your local Splash Pools authorized dealer here! 7. Are Splash Pools difficult to maintain? Splash Pools are designed to be easy to maintain! As for water treatment, proper water chemistry is the same in any pool regardless of size, shape, or brand. Contact your local Splash Pools authorized dealer for water testing services and treat your pool water accordingly – it’s that simple. Visit our online store for replacement filters and pool covers or contact your local authorized dealer. If you cannot maintain your pool, or need assistance opening and closing your pool seasonally, Our authorized dealers can help you procure pool care services! Click here to find your local Splash Pools authorized dealer. 8. Do Splash Pools have any built in safety features? Customer safety is of paramount importance when we design our products. Our unrivaled designs make our pools safe in their entirety. 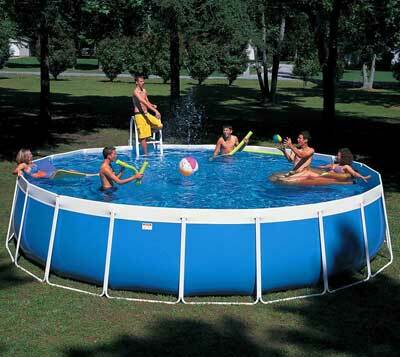 Other manufacturers are required to tie their pool corners together to compensate for their inferior designs. 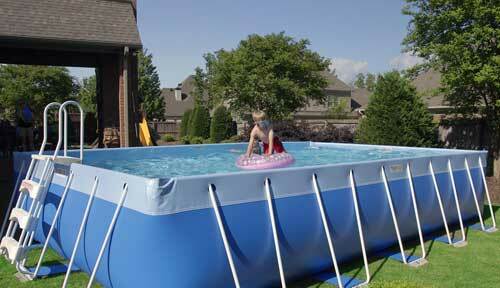 Due to our superior pool designs, we are not required to tie our corners. As a result, our four independent walls are free to move and absorb the energy of moving water as swimmers splash around! Our revolutionary SplashFence adds complete 360 degree safety and security to your SuperPool. Visit our online store to learn more about the SplashFence. ALWAYS be sure to have adult supervision at your pool and never swim alone. 9. Where can I find Splash Pools specific upgrades and accessories? From toys, to pool care products, Splash Pools offers a wide variety of accoutrements for owners to customize and care for their Splash Pools. 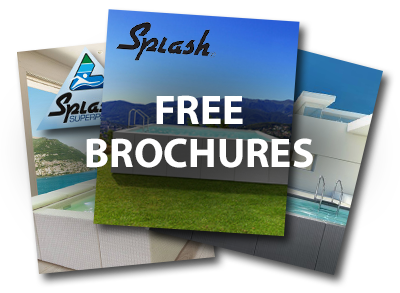 Visit our online store to browse or visit your local Splash Pools authorized dealer!